Now a Wellcome fellow, developing new storytelling formats for science, Alok Jha was formerly the ITV science correspondent and for many years was the science correspondent at The Guardian and a BBC TV and radio presenter. In addition to writing news and comment articles, he presented the award-winning Science Weekly podcast, looked after the Guardian's science website and presented and produced science video films. He was also the presenter of Storm Troupers - The Fight to Forecast the Weather for BBC4 and one of the team on the BBC Two series, Dara O Briain's Science Club, and presented BBC Radio 4 and World Service documentaries. 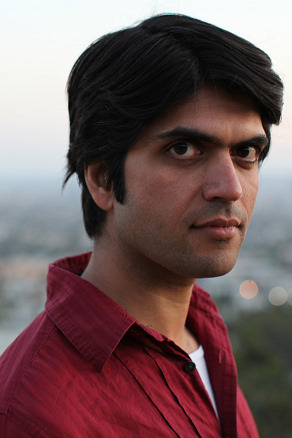 As a reporter, Alok has broken dozens of front-page science news stories, all of them subsequently followed up by news outlets around the world. He has also floated aboard a zero-gravity flight with the European Space Agency, had his genes sequenced, been a scientific guinea-pig to test the effects of the Atkins diet, learned how to Lindy-Hop, hung out with daredevil botanists in the mountains of Lebanon, and reported from location in Cape Canaveral as the space shuttle took off on its final mission. Over more than a decade as a science journalist, Alok has interviewed hundreds of the world's leading scientists, thinkers and authors, including Richard Dawkins, Brian Greene, David Nutt, Rebecca Skloot, Steven Pinker, E.O Wilson, Ian McEwan, Dava Sobel, Andre Geim, Susie Orbach, John Sulston, Paul Nurse and David Eagleman. He has also hosted live podcast shows, in front of an audience, at the Royal Institution, Natural History Museum and the Science Museum in London. He is also the author of three books The Water Book, The Doomsday Handbook: 50 Ways to the End of the World and How To Live Forever And 34 Other Really Interesting Uses for Science..